^^ Remi inhales these so to keep the crumbs to a minimum these days, we make them mini. Add beaten egg, bananas and margarine (or butter). Spoon into muffin pan with paper cups. Bake 15-20 mins at 350°F. Yields 24 muffins and 48 mini muffins. 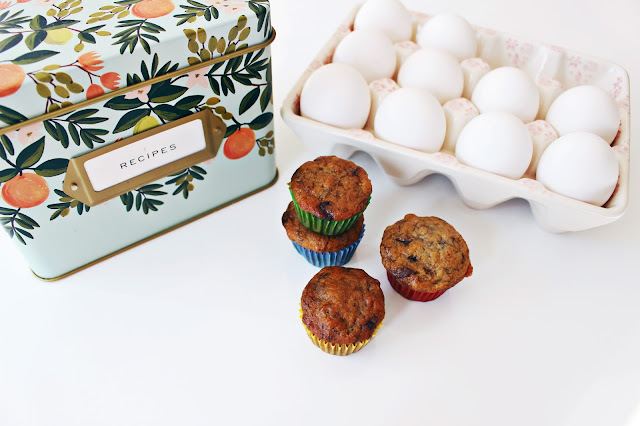 Citrus Floral Recipe Box: Rifle Paper Co.
these look SO GOOD! And that recipe box is absolutely darling!